If you’ve been a friend to Veraly & Company (or are a friend to me personally) then you know how much I love creating. Wedding stationery, watercolor paintings, even building shelves around the house makes me crazy happy. On and off for the past 6 years, I’ve worked as a graphic designer, stationer, and calligrapher in my free time. I’ve loved every minute of the learning process and connecting with new clients and other lady bosses. It has been an incredible ride and I’m so excited for share with you the new direction I’m taking the company. Though I’ll always have a place in my heart for wedding stationery (and will continue taking custom work) the main focus of my business is undergoing a huge transformation and, for now, will be focused on styled stock photography to help serve all you stationers out there who are kicking it and taking names. So, how did this change come about? I admit, it might seem random from the outside, but from in my studio (and in my head), it makes so much sense. 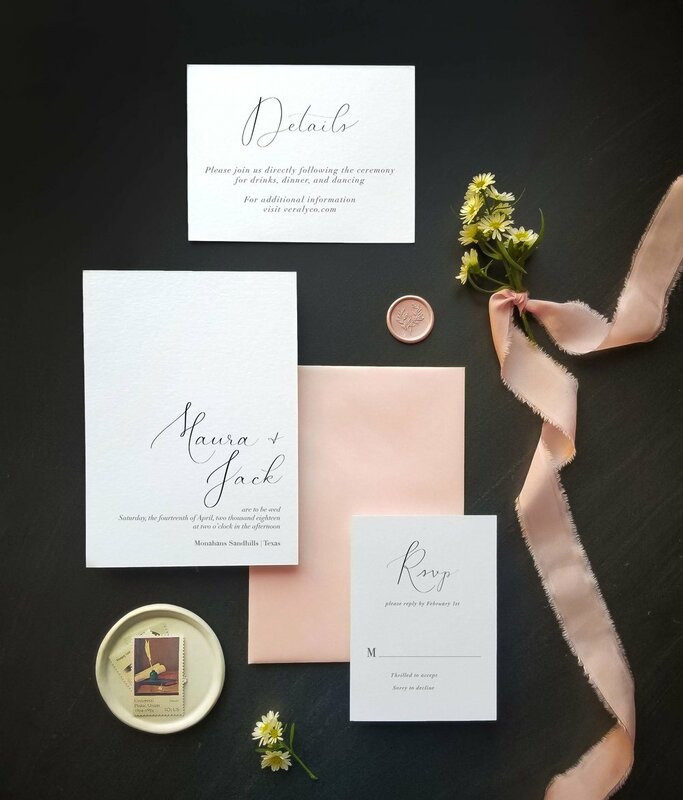 When I started on my entrepreneurial journey, I focused my time on wedding stationery and calligraphy. It was glaringly obvious that I needed professionally styled images, but my bank account just wouldn’t allow for it. I tried buying stock images for web and social, but they always fell flat (either so obviously computer generated it hurt or hundreds of other people were using the same images, which makes it even harder to stand out from the competition). Then I went the styled shoot direction, but those were also hit or miss; I wasn’t guaranteed my work would be given proper lighting, editing, props, or even be photographed. And the number of times shoes, feathers, and even food were put on top of (and sometimes completely blocking) my designs were too many to count. The investment, effort, and often heartbreak was taking its toll. Over the years, I wasted hundreds of dollars and so many hours. So, out of ideas, I began studying the art of the flat lay. What was it that made for images high in engagement on Instagram or get pinned over and over on Pinterest? I observed, learned, practiced, tested, and practiced some more. The result? A growing library of styled images and a passion for making sure other stationers don’t fall prey to over-used, over-edited, and underwhelming imagery. Plus, I really really love making things look pretty. So enough talking, don’t wait any longer, get over to the stock shop! I’m so excited you’re on this journey with me! PPS- yes, the image above is from one of my new styled bundles! PPPS- If you haven’t yet, I hope you’ll join the Veraly & Company newsletter list. Every month I send out the best curated content from my site and free styled stock images. Don’t miss it!